Born: 22 October 1868, Chicago, Illinois, United States of America. Died: 17 April 1946, Johannesburg, South Africa. 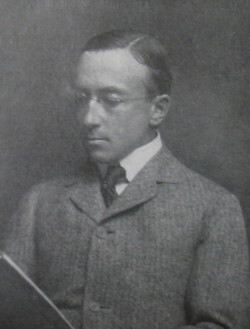 John Wilkinson Kirkland was educated at private schools in the United States, Germany and Switzerland, and qualified as Bachelor of Science (BSc) in mechanical engineering at Cornell University in 1889. From that year he worked for the Thomson-Houston Electric Company of Boston, Massachusetts, for three years and then for its successor, the General Electric Company, from 1892. In 1895 he became assistant to the manager of the company's lighting department in New York. In March 1898 he was sent to Johannesburg as representative of the General Electric Company of New York. The next year he established the South African General Electric Company, of which he was still vice-president by 1919. Kirkman had a keen intellect and was a fluent debater. Upon his arrival in Johannesburg he joined the short-lived South African Society of Electrical Engineers, which had been founded in 1897. In July 1898 he read a paper on "Electric haulage" before its members, and in March 1899 one on "The rotary converter." Shortly after the conclusion of the Anglo-Boer War (1899-1902) he argued for the centralisation of power generation on the Witwatersrand in his paper "Central electric power stations for gold mines" (Journal of the Mechanical Engineers' Association of the Witwatersrand, 1902-1903, Vol. 1(8), pp. 134-139 and 1903-1904, Vol. 2(8), pp. 220-224). In 1910 he became a member of the South African Institute of Electrical Engineers (founded in 1909), served as its president for 1913/4, and was elected an honorary member in 1934. Among others he contributed a paper on "The electrification of the Chicago, Milwaukee and St Paul Railway" to its Transactions (1917, Vol. 8, pp. 164-172, 190-209). He was a foundation member of the South African Association for the Advancement of Science in 1902 and though his membership lapsed after 1906, he rejoined the association in 1913 and by 1918 was a member of council. A paper by him on "An electric vehicle charging plant" was published in the association's Report for 1917 (pp. 525-527). He was also a member of the American Institute of Electrical Engineers, an associate member of the (British) Institution of Mining and Metallurgy, and a member of the South African Institution of Engineers. He served as president of the latter in 1922/3. In April 1920 he was elected joint vice-president of the newly founded Associated Scientific and Technical Societies of South Africa. Kirkland married Elena Hellman in 1903. They had at least one son, who joined his father in the firm J.W. Kirkland and son. This engineering firm, with headquarters in Johannesburg, became prominent during the nineteen-twenties and was active in several countries. The elder Kirkland became a mental patient in 1937 and died from Korsakoff's psychosis nine years later. Draper, J.R. The engineer's contribution: A history of the South African Institution of Mechanical Engineers, 1892-1967 (Appendix 1). Johannesburg: South African Institution of Mechanical Engineers, 1967. Journal of the Mechanical Engineers' Association of the Witwatersrand, 1902-1904, Vol. 1-2, papers by Kirkman. National Archives Repository (TAB), Source MHG, Vol. 0, Ref. 2379/38: death notice, John Wilkinson Kirkland. National Automated Archival Information Retrieval System (NAAIRS). http://www.national.archives.gov.za/naairs.htm Documents relating to Kirkland, John Wilkinson / Kirkland, J.W. Obituary [J.W. Kirkland]. Transactions of the South African Institute of Electrical Engineers, 1946, Vol. 37(4), p. 103. Orr, J. Presidential address Associated Scientific and Technical Societies of South Africa, Annual Proceedings, 1938, pp. 15-86. Pask, T.P. An historical note of 1897. Transactions of the South African Society of Electrical Engineers, 1930, Vol. 21(11), pp. 240-243. South African Association for the Advancement of Science. Report, 1903, 1905/6, 1917, 1918.